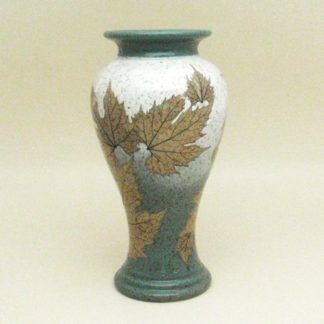 Email or call the store for availability of similar vases. 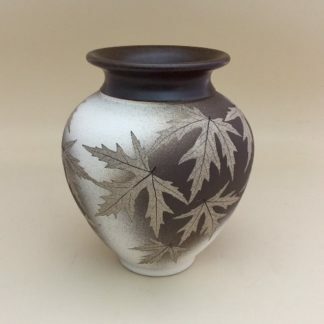 This beautiful vase is perfect for any floral arrangement. 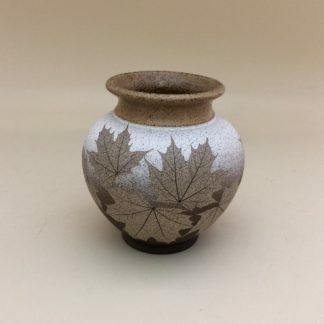 Measures approximately 10″ tall. 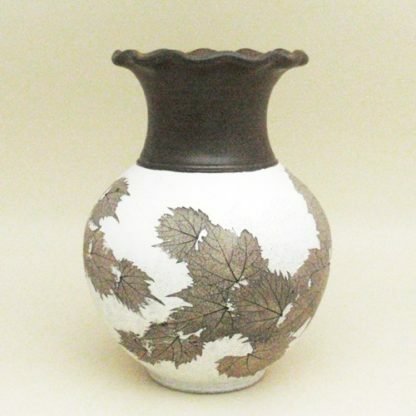 Decorated with tan wild grape leaves on a white background, finished with a tan matte glaze. One of a kind.